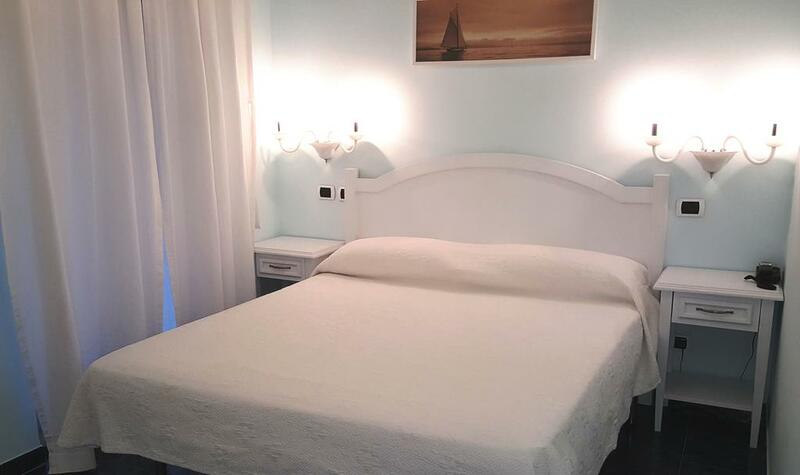 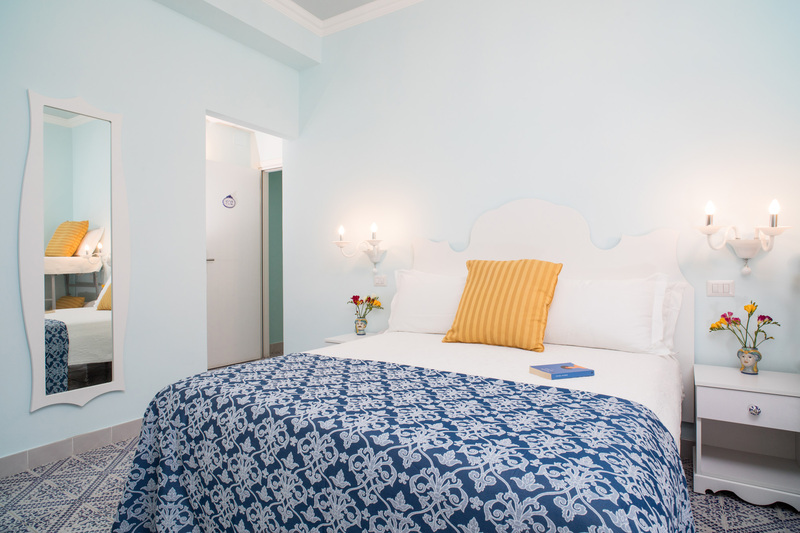 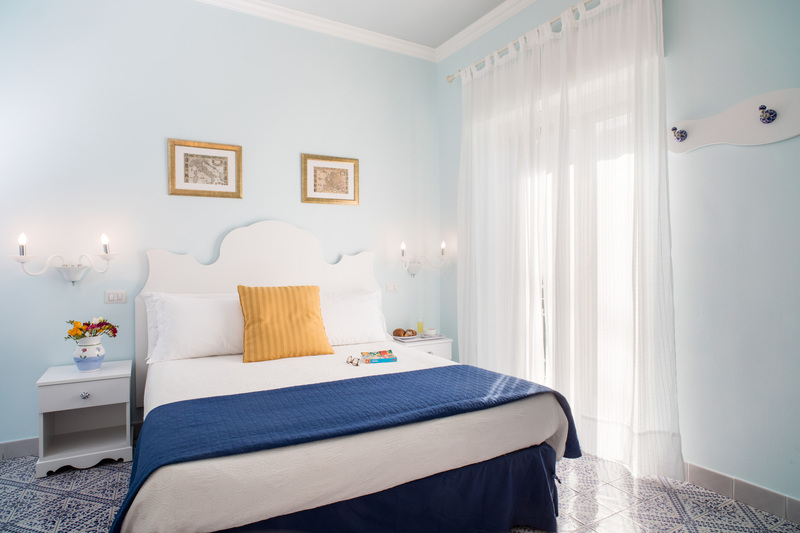 The Hotel has 16 rooms all recently renovated, fresh and comfortable. 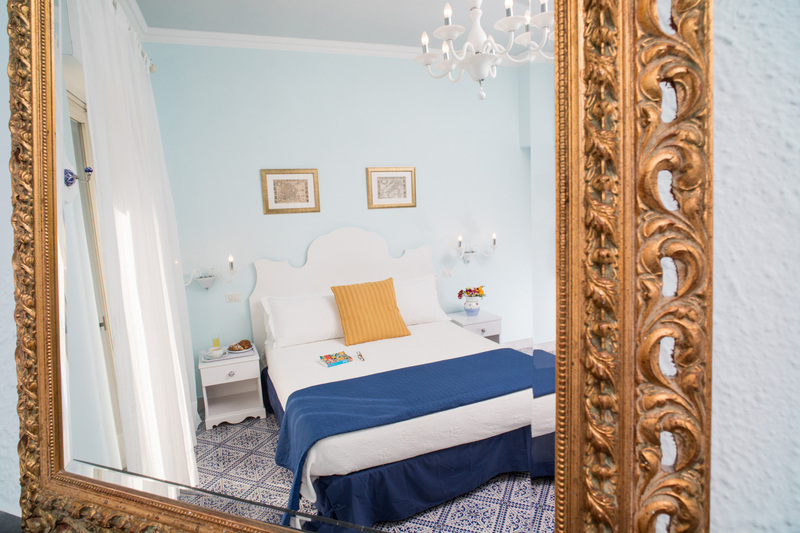 To allow our guests to meet all their space requirements, our rooms are divided into single, double, triple, and quadruple. 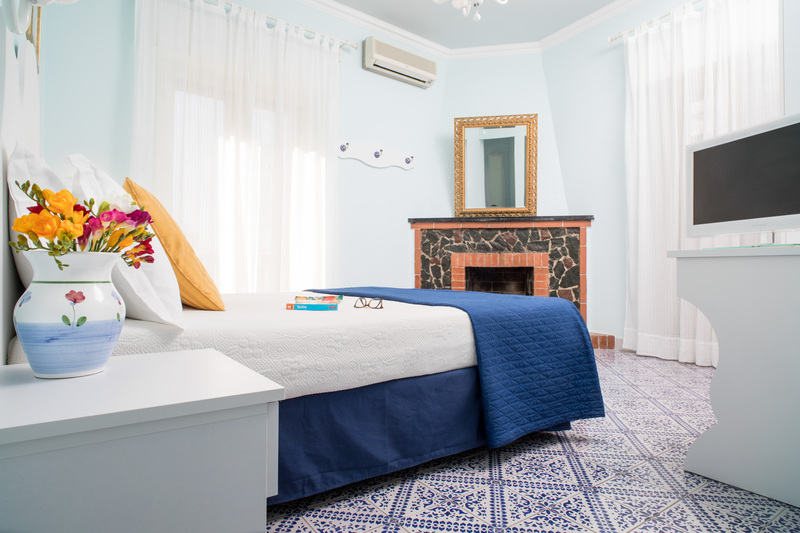 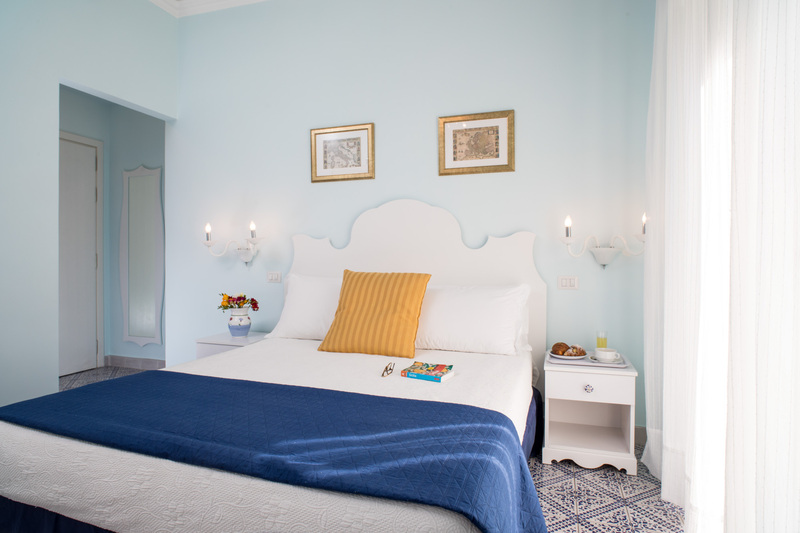 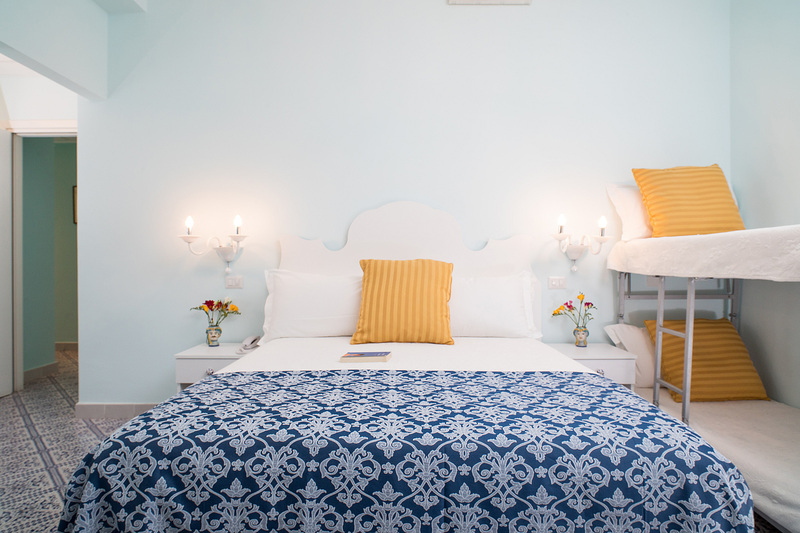 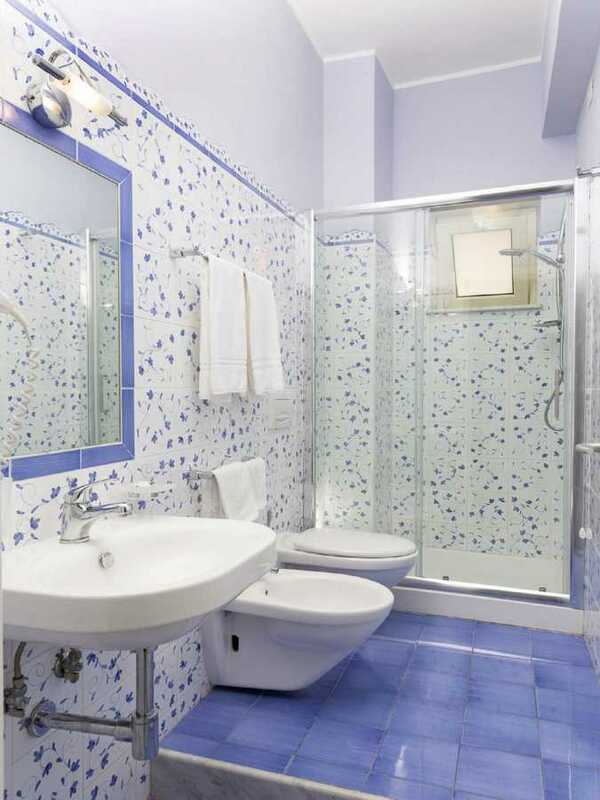 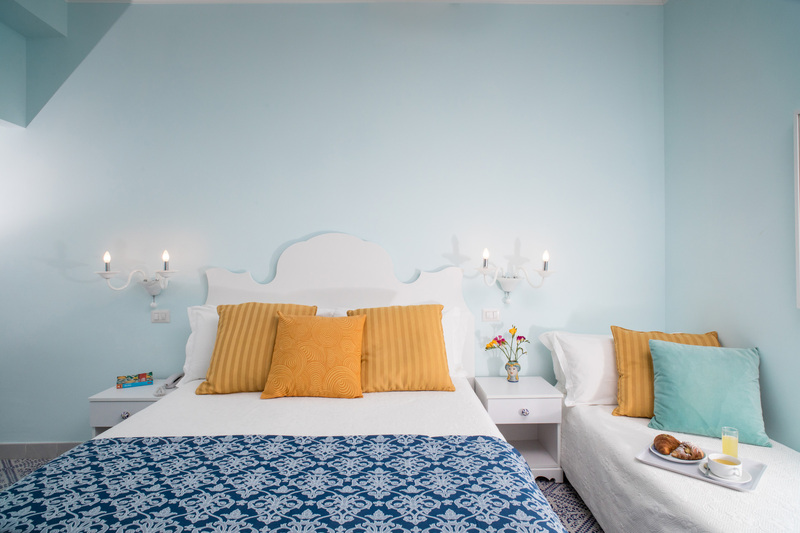 Floors and private services have been realized with hand-decorated tiles, in typical Sicilian style. 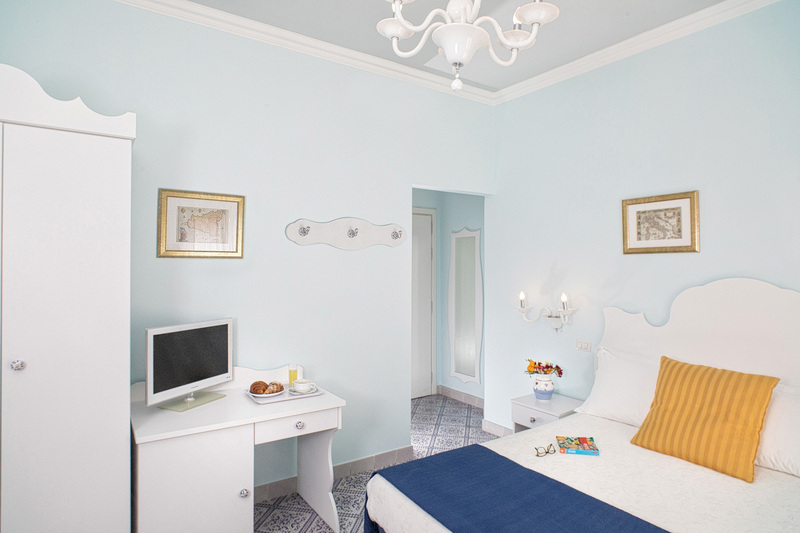 All rooms include the buffet breakfast. 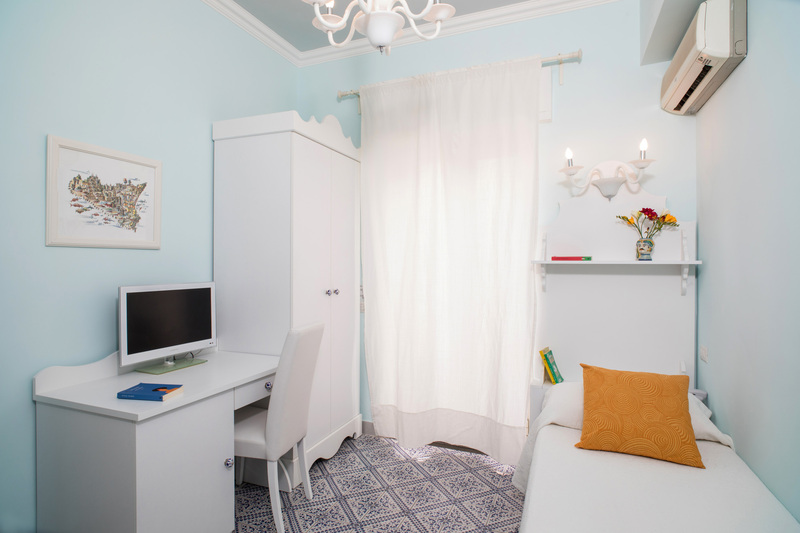 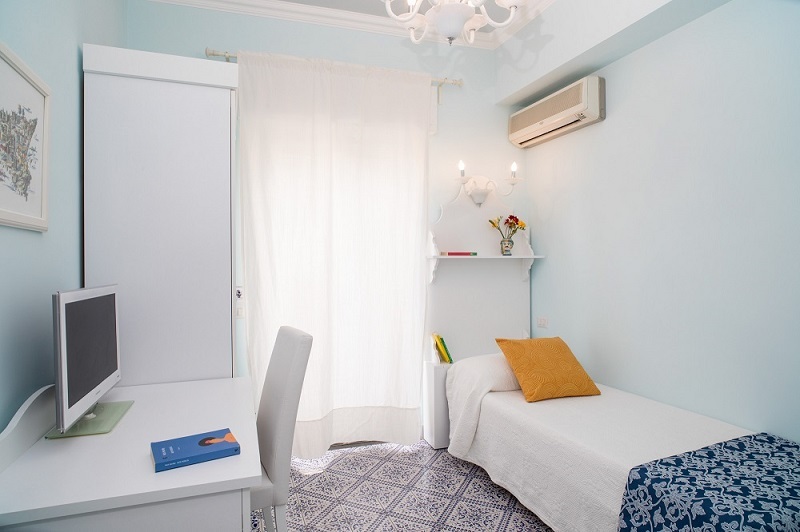 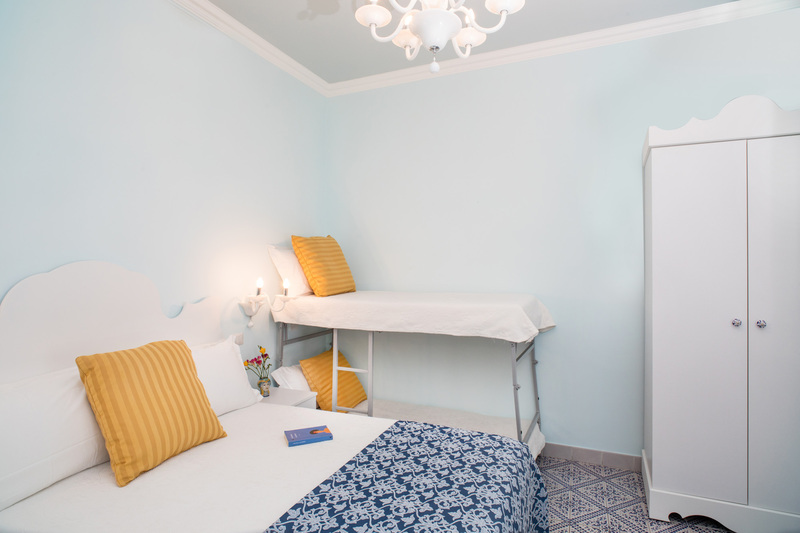 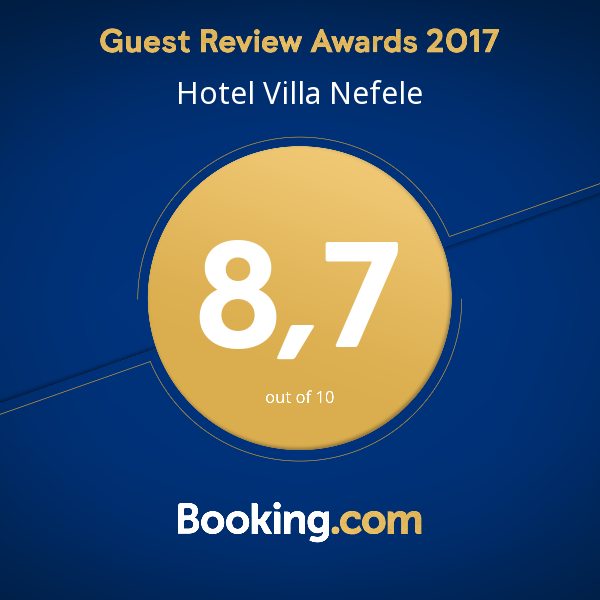 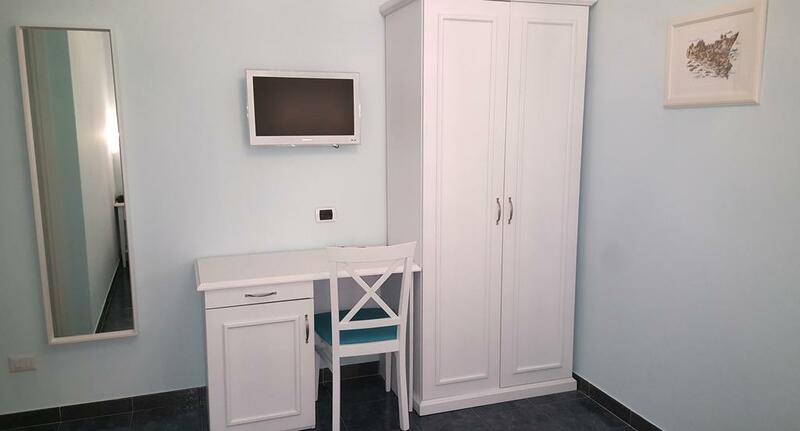 Equipped with private bathroom with shower and hairdryer, telephone, independent air conditioning and heating, small balcony equipped with table and chair, flat-screen TV with satellite channels, desk, mini bar with small set of drinks, electric kettle, digital safe, free WiFi. 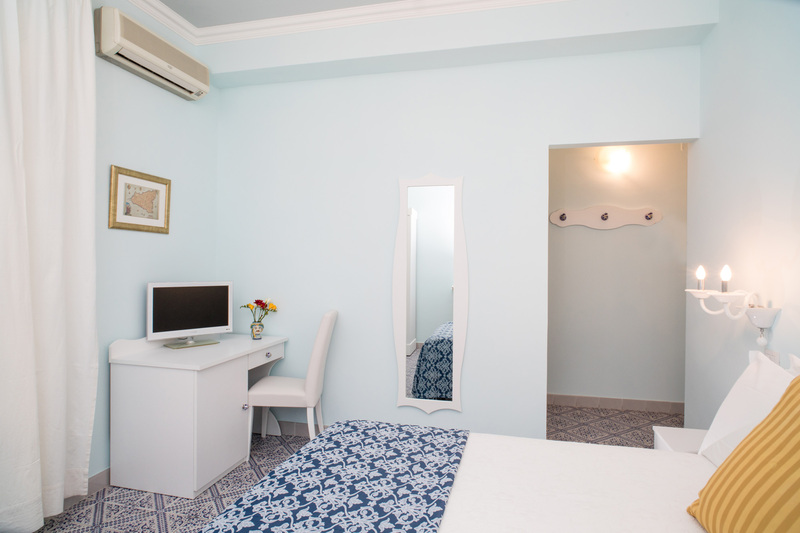 Unique economy room, located in the lobby of the hotel between the breakfast room and reception, equipped with private bathroom with shower and hairdryer, telephone, air conditioning, mini balcony, flat screen TV with satellite channels, minibar with small set of drinks, electric kettle, safe digital, free WiFi. 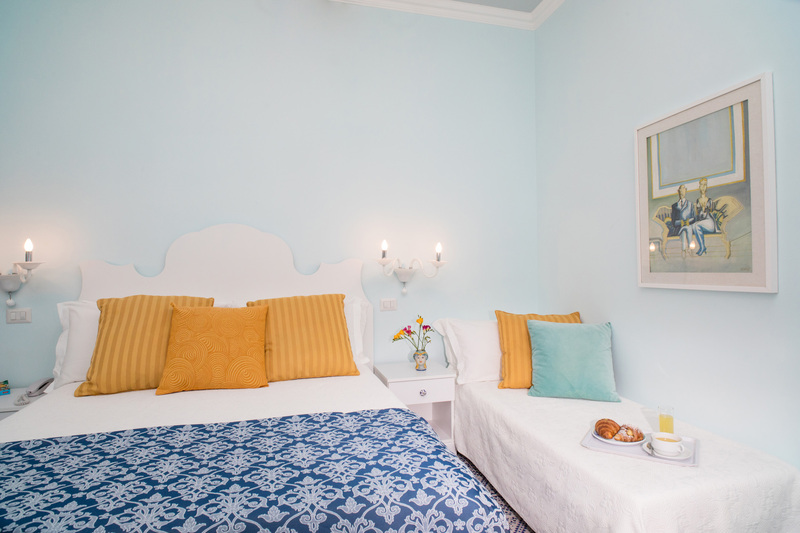 Equipped with private bathroom with shower and hairdryer, telephone, independent air conditioning and heating, balcony with side sea view equipped with table and chairs, flat screen TV with satellite channels, minibar with a small set of drinks, electric kettle, digital safe, free WiFi.